Many employers are choosing to hire graduates for a number of reasons; they’re keen to learn and progress, they will take a lower salary, to bring fresh perspective into the workplace, and they’re often a clean slate. But in an overly competitive market, how can you make your graduate role stand out from the crowd? Part of the secret of attracting graduates is creating a role that offers exactly what graduates want. Start by making sure that the role you want to offer is closely tied to the needs of your organisation and consider the ideal type of candidate that you want to hire. Rotational structures – don’t leave your graduates working on the same thing day in, day out. Let them learn the different functions in your organisation. 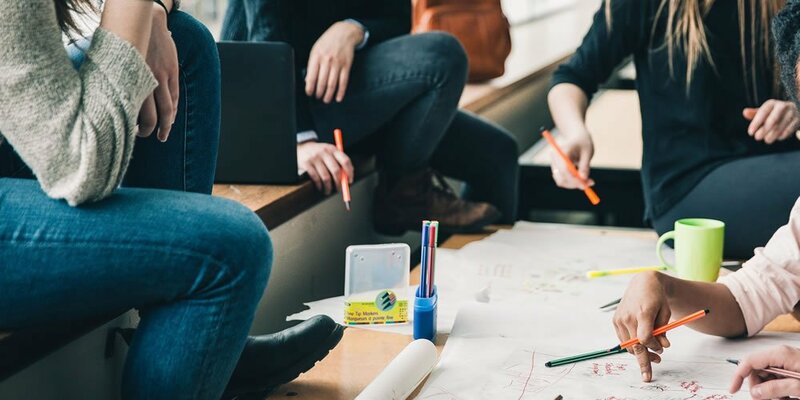 Peer mentoring programs – it’s likely that graduates will appreciate peer mentoring because they’ll feel like their colleagues are more invested in their development, and its good for the organisation because they can learn from some of the best. The more responsibility and the more involved a graduate can get in a role is what they are often looking for. Where you can, you need to offer experiences which will make you stand out from the crowd. Make it clear from the get-go all the things that you have to offer – your potential hires need to know that they can be a useful cog in your company, so honesty and transparency are key. Now, even some of the biggest graduate recruiters are changing the flexibility of their graduate roles. Areas such as entry criteria for roles are changing, with focus increasing on values and cultural fit. While degree classification and UCAS points are still going to be important in the process, they’re being lowered by a lot of organisations, with some not even having any expectations in this area. Academic history isn’t always a guarantee that the candidate will be a good fit in the workplace, so you need to delve deeper to learn more about your potential hires! If you’re a smaller organisation, consider focusing on a smaller group (maybe even one) of graduates so you can save time and money and are able to give enough time and attention to the team. It’s all about your capabilities as graduate roles can often take a lot of commitment, so make sure you’re able to provide a high standard to your graduates. This also comes into the benefits that you’re able to offer – many aren’t attracted by money (for the most part, anyway! ), but they want other benefits in the roles, with flexible working hours being one of the most popular. Think about what you can offer your employee that will make you stand out from other organisations.